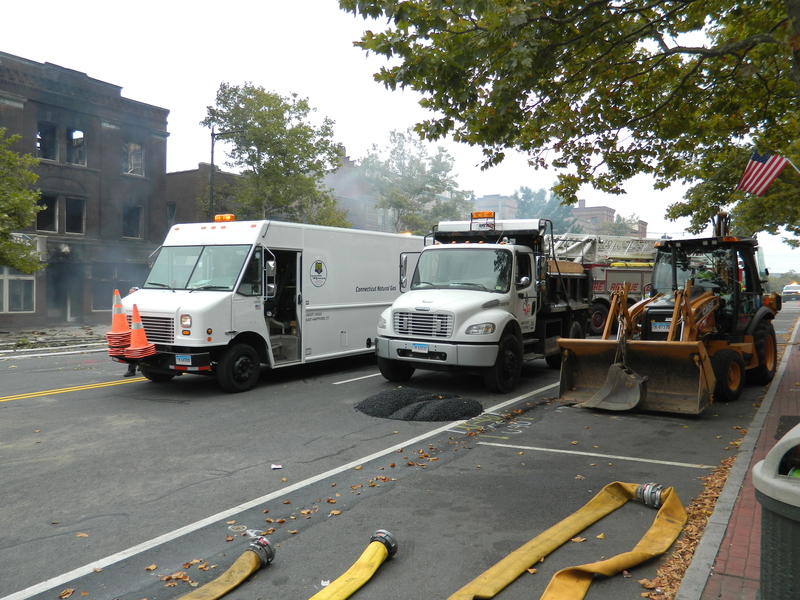 Light residual smoke continued to rise Sunday, October 13 from a fire the night before that gutted two businesses in downtown Manchester, Connecticut. Fire companies from surrounding towns responded to help Manchester firefighters knock down the Saturday night blaze that destroyed adjacent businesses at 805 and 809 Main Street. 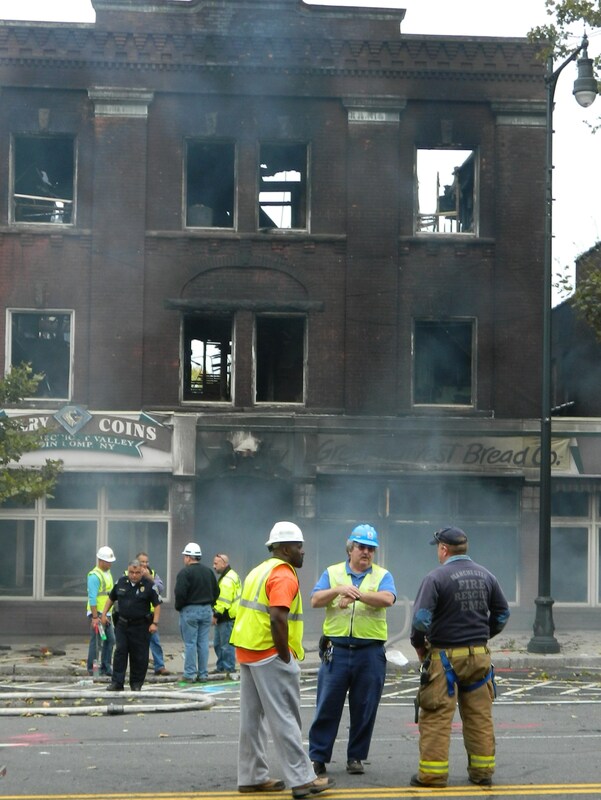 Only the brick wall shell of The Great Harvest Bread Co. bakery and Connecticut Valley Coin, LLC, a pawnbroker, remained standing Sunday afternoon. According to FOX News, no major injuries were reported but residents were displaced from upstairs apartments and were being assisted by the Red Cross. 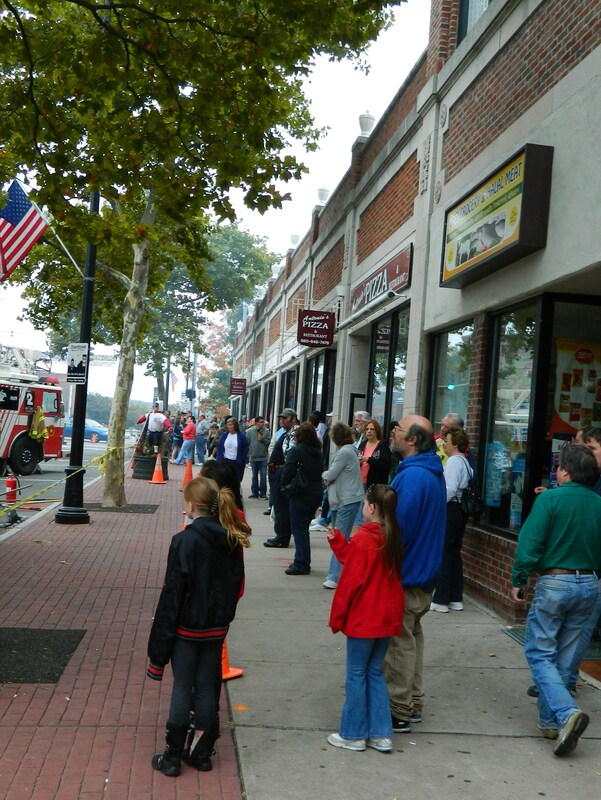 Onlookers stood quietly watching from behind the yellow tape that cordoned off three blocks in the heart of the downtown Sunday afternoon where emergency vehicles and Connecticut Natural Gas were on site. Demolition was slated to begin on the remnants of the structure. 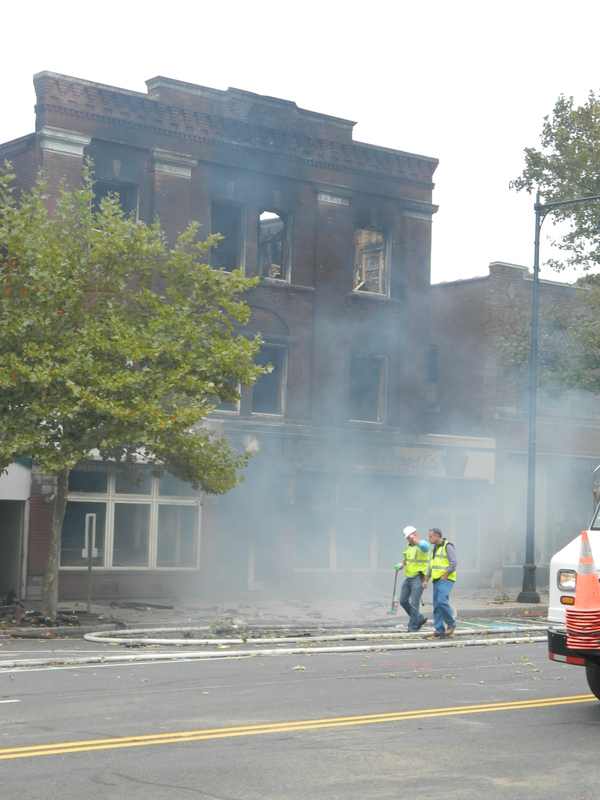 The fire is said to be under investigation.